HERE you go then Mr Tapp. It looks like your mystery plant, photographed here last week, is an American invader, Buffalo-bur, or solanum rostratum. It’s a member of the nightshade family, solanaceae, which includes potato, aubergine and nettle, but is very, potentially fatally poisonous. It’s not uncommon but gets brought in on animal fur and in birdseed and enjoys a very dry summer, which may explain its sudden arrival. Many thanks to the readers who sent in suggestions, and to one who spent a long time searching Google images. 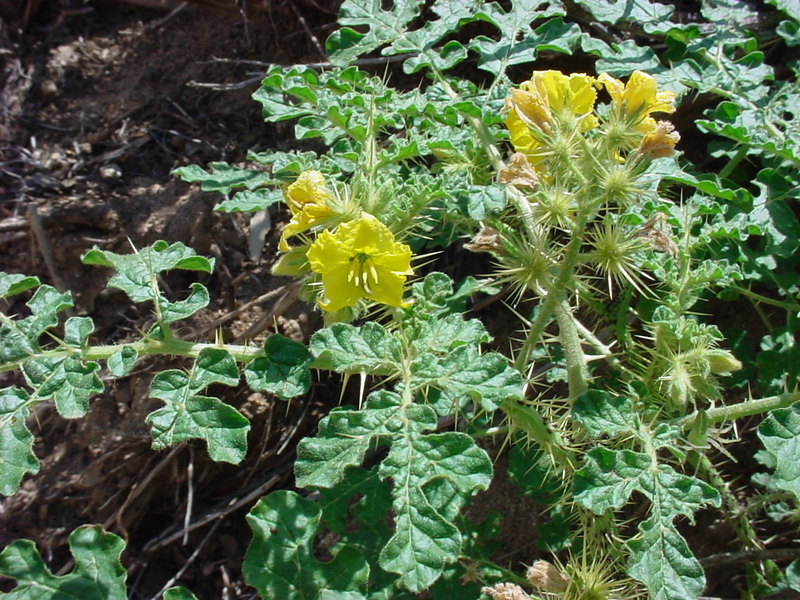 I’ve learned a great deal about yellow-flowered, prickly plants this week! Feel free to email any other plant queries you may have.